Price:€ 19.00/yr. VAT 20% exc. See also original Rapid SSL plan location on their website! 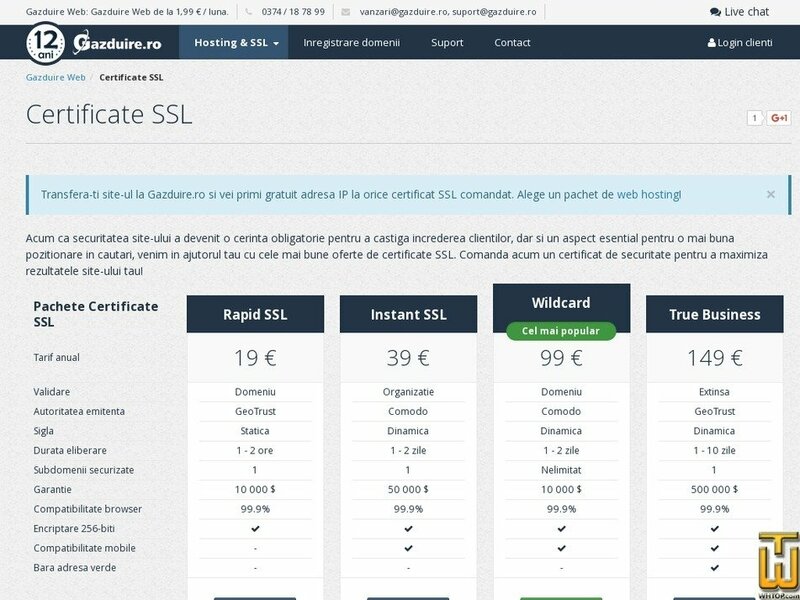 Certification authorities are GeoTrust and Comodo, one of the leading providers of SSL Certificates worldwide. Users in mind that the site be secure before providing personal information and will buy with confidence. Price: € 15.99/yr. VAT 20% exc. Price: € 15.00/yr. VAT 20% exc. Price: € 36.00/yr. VAT 20% exc.